The components of the transmission system are responsible for transmitting power from your engine to the wheels of your vehicle. In other words, the engine provides the power, but the transmission and drive train system are what make your car move. Therefore, it is very important to have a transmission that is working properly. It is very important to check the transmission fluid level and quality every time you change the oil. Low levels of transmission fluid or burnt/corroded fluid running through the system can lead to significant damage that can be costly to repair. If your vehicle has an automatic transmission, regular maintenance is a must. Automatic transmissions are very complex and also utilize a torque converter. Only skilled auto technicians with transmission expertise will be able to determine problems in any type of manual or automatic transmission. Lighthouse Automotive in Colorado Springs has high tech advanced diagnostic equipment to identify the problem and solve it effectively if needed. 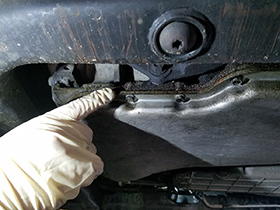 Standard transmission maintenance service will include changing the transmission filter and transmission fluid, as well as inspections of the transmission pan and pan gasket to ensure there are no fluid leaks. 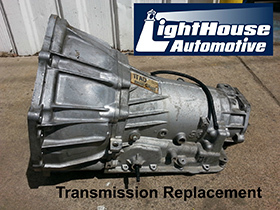 When more significant transmission issues are affecting your car’s performance, LightHouse Automotive can handle all aspects of transmission repair. 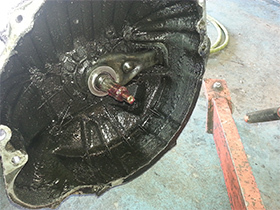 Depending on the nature of the problem in your vehicle’s transmission, it may have to be repaired, replaced or rebuilt. Unfortunately, many people decide to put off transmission repairs and transmission service until it’s too late. It’s important to know that one small fluid leak or bad component can quickly compound into much bigger transmission concerns. Having routine transmission maintenance is vital to the performance of your transmission over time. Regular inspections and diagnostic tests will also help identify potential problems before they turn into major transmission repairs. 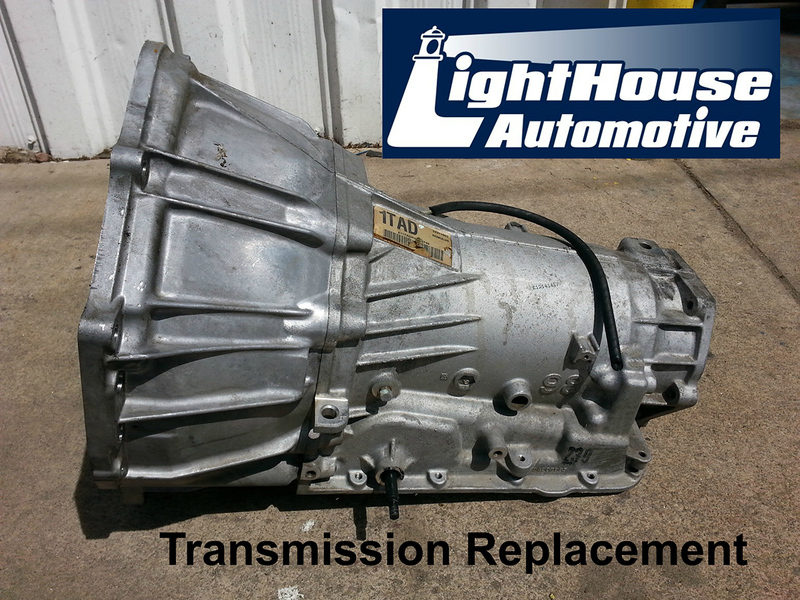 Regular transmission services and repairs from LightHouse Automotive is worth the investment. Do not wait for the transmission to break down or you will regret it. Count on LightHouse Automotive for all your Colorado Springs transmission repair and service needs. Our technicians are ASE Certified and have vast experience working on transmission and drive train systems for all types of vehicles. From manual to automatic, import to domestic, we have you covered. LightHouse Automotive is a NAPA AutoCare Center and qualifying transmission repairs are backed by the NAPA AutoCarePeace of Mind Warranty. This 36-month, 36,000-mile warranty program is valid at any NAPA AutoCare Centeracross the country. LightHouse Automotive in Colorado Springs is committed to providing the best automotive services—including transmission repair and replacement—in the area. We will provide a comprehensive estimate before starting transmission service or repairs. 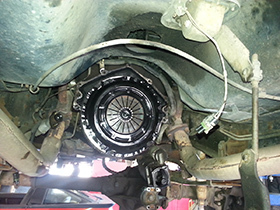 In many transmission repair cases, a diagnostics review and/or an internal inspection may be required. If so, our service advisors will walk you through the process and make sure you have all the information you need to make sound transmission repair decisions. LightHouse Automotive of Colorado Springs offers the perfect solution whether your need technical assistance, inspection/diagnostic review of your transmission, routine transmission service or a major transmission repair. Call LightHouse Automotive at (719) 465-0302 or schedule a service appointment online.